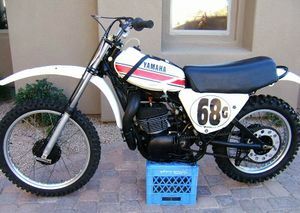 The Yamaha YZ360 was single cylinder 360cc offroad and motocross motorcycle produced by Yamaha 1974 and 1975. 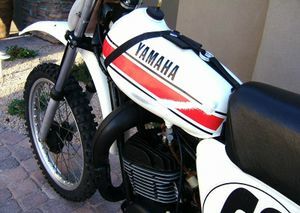 Produced in extremely limited numbers and very expensive at the time (US Price $1850), YZ 250-360 Yamaha's were truly 'works' bikes that you or I could actually buy. 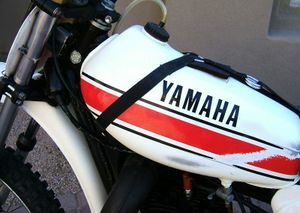 It was produced in extremely limited numbers and very expensive at the time (US Price $1850), YZ 250-360 Yamaha's were truly 'works' bikes that you or I could actually buy. 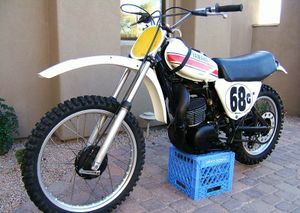 These bikes shared almost nothing with their cousins, the Yamaha MX racers. If you've never gone inside of a YZ 250 or 360 motor, you should. EVERYTHING was drilled and lightened. 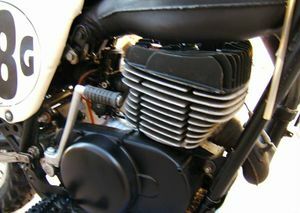 Gears, clutches, frames, wheels, forks, tanks, pipes, seats, air box (1 box with 2 filters, 1 behind each side cover) were all WORKS pieces. 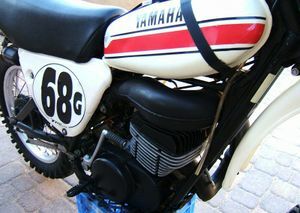 The frame is all steel (including the box swing arm), however the right side clutch case was Magnesium. 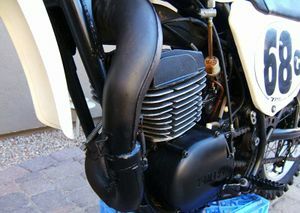 The engine cases were the same as the RT3 and MX bikes. Yamaha recommended that you replace the rings after EVERY RACE. The most logical reason for this was that you could never bore the cylinder. The cylinder bolts were red (Titanium I believe). The gas tank is aluminum (mine leaked from day one). The bottom of the seat, air box and side plates were all made from fiberglass. The US version was yellow and I believe both versions came with the "detuned" 34mm Mikuni although the intake boot would allow a 38mm. John Fero rode his YZ360B at the Texas ISDE in 1975 (running in 1st place before flooding the "designed for MX" air box) and finishing 5th in front of Malcolm Smith (gaining notice by Yamaha and starting his factory career with Yamaha and Suzuki).